Do I Have to Be A Doctor to Sign This? My client did not think much of it at the time, but that act by the notary invalidated the self-proving affidavit of the will. 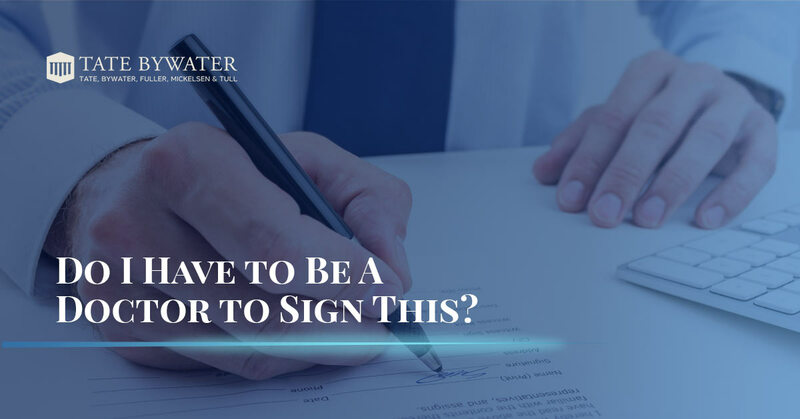 Witnesses and notaries do not have to be medical professionals in order to determine whether a testator is of sound mind at the time the will is signed- it is instead based on their interaction with and perception of the testator. Taking the will to the probate office, my client was informed that because the self-proving affidavit was struck from the will, a judge would have to make a determination whether the will was valid. The original witnesses, if they could be located, would have to testify about my client’s aunt’s mental state at the time the will was signed in order for the will to be found valid. Considering that the will was signed in 2009 at a local bank, it would have been difficult to locate the witnesses and uncertain if they could adequately testify about the deceased aunt’s mental capacity. 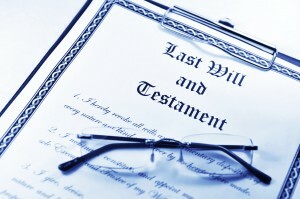 Uniquely in this situation, the will distributed the property in the exact same manner as if the testator had died without a will. Although my client was a beneficiary under the will, I filed a petition and appeared with my client in probate court. Explaining the circumstances to the judge, I made the unusual request of asking the judge to invalidate the will and declare my client as personal representative of her deceased aunt’s estate. The judge granted our motion. Despite the obstacles, my client was able to move forward administering her aunt’s estate. Before me, the undersigned authority, on this day personally appeared _______, _______, and _______, known to me to be the testator and the witnesses, respectively, whose names are signed to the attached or foregoing instrument and, all of these persons being by me first duly sworn, _______ the testator, declared to me and to the witnesses in my presence that said instrument is his last will and testament and that he had willingly signed or directed another to sign the same for him, and executed it in the presence of said witnesses as his free and voluntary act for the purposes therein expressed; that said witnesses stated before me that the foregoing will was executed and acknowledged by the testator as his last will and testament in the presence of said witnesses who, in his presence and at his request, and in the presence of each other, did subscribe their names thereto as attesting witnesses on the day of the date of said will, and that the testator, at the time of the execution of said will, was over the age of eighteen years and of sound and disposing mind and memory. Subscribed, sword and acknowledged before me by _______, the testator, and subscribed and sword before me by _______ and _______, witnesses, this ___ day of ______, A.D., _____. The affidavits of any such witnesses taken as provided by this section, whenever made, shall be accepted by the court as if it had been taken ore tenus before such court, notwithstanding that the officer did not attach or affix his official seal thereto. Any codicil that is self-proved under the provisions of this section that, by its terms, expressly confirms, ratifies, and republishes a will except as altered by the codicil shall have the effect of self-proving the will whether or not the will was so executed originally. Chris Hatch of TATE BYWATER assists clients in all aspects of the probate process from simple estates to complex trusts. Call 703-938-5100 or contact us to set up a consultation to discuss your estate administration or probate matter with an attorney.